Footage Confirms That Chimps Worship And Believe In God? 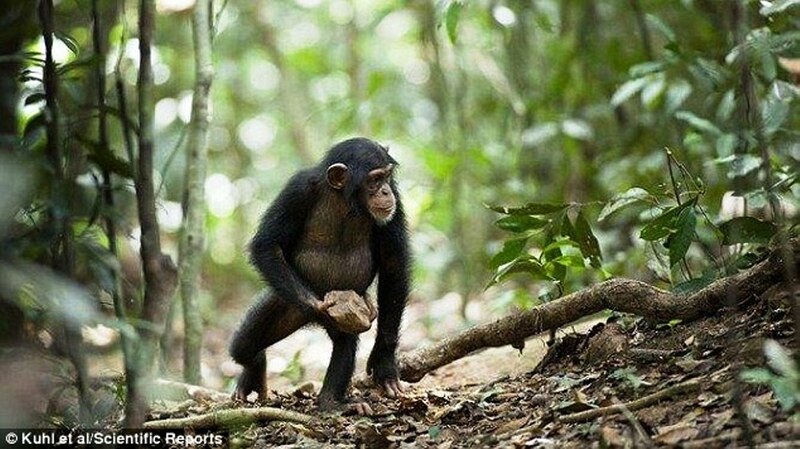 Science Footage Confirms That Chimps Worship And Believe In God? The Human Genome Project revealed that we share roughly 99% of our DNA with chimpanzees. It implies that we really have a lot in common with bonobos and chimps. A footage caught in 2016 shows ritualistic behaviors among a band of chimpanzees. The chimpanzee behavior could also represent a direct connection with human religious rituals. Indigenous West African people also collect stones at sacred trees — and similar behavior is seen elsewhere — in a way that looks “eerily similar to what we have discovered here”, one of the researchers wrote. 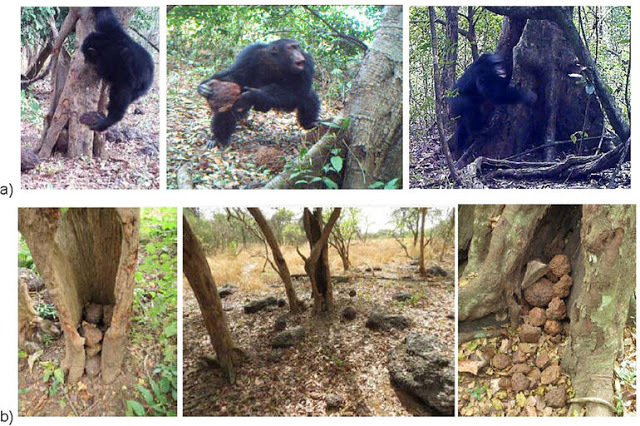 The footage is said to be caught in West Africa where chimps naturally thrive. Recent findings also revealed that these primates also entered their Stone Age. Since they entered their own stone age, they have also developed a progenitor of paganism. They throw stones in trees and stack pebbles of many sizes inside the gaps of tree trunks as shrines. The recent footage may remind of some people of the opening scene from the famous science fiction classic 2001: A Space Odyssey. In the film, chimp-proto hominid apes discovered a black monolith and worshiped it like a God. The same monolith aided these apes in their evolution. Did the recent footage really show that chimps are one their first stages to develop religion? Watch the video below and decide.